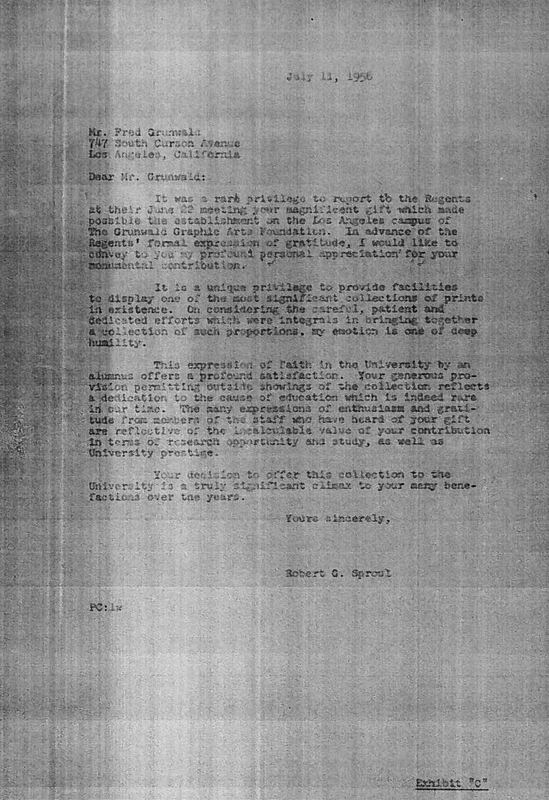 Probate documents, prepared on the occasion of Fred Grunwald's death in 1964, show how his collection was divided up between his wife and children. 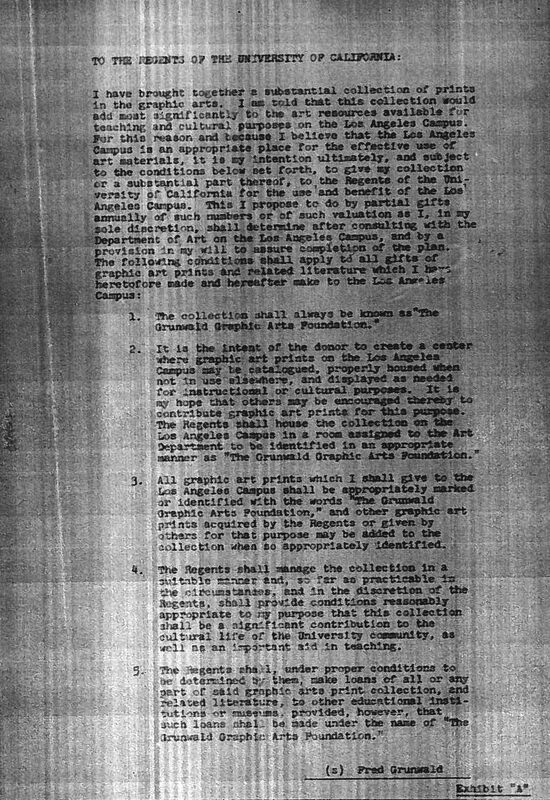 In addition, the pages reproduced below—Exhibits A, B, and C—lay out the terms of the creation of the Grunwald Graphic Arts Foundation (as the Grunwald Center for the Graphic Arts was originally named) at UCLA. 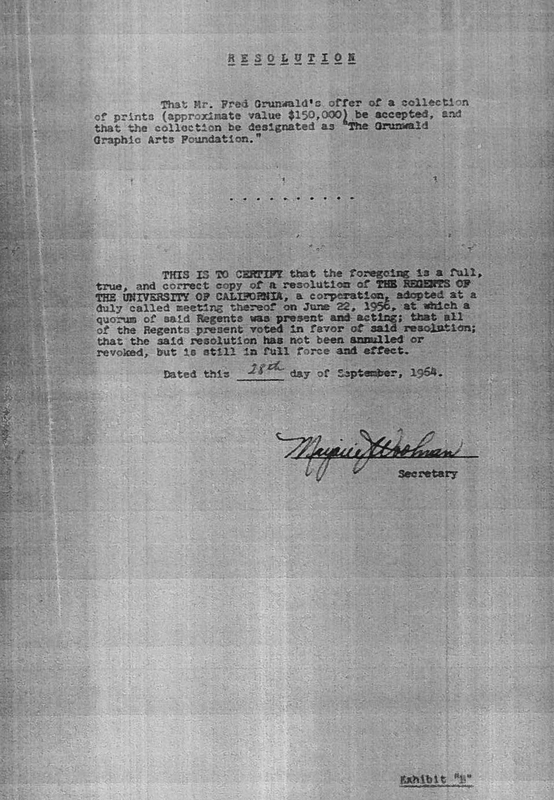 Fred Grunwald probate documents, Exhibit "A"
"Probate Records." Loss and Restitution: The Story of the Grunwald Family Collection. Los Angeles: Hammer Museum, 2017. https://​hammer.ucla.edu/​collections/​grunwald-center-collection/​loss-and-restitution-the-story-of-the-grunwald-family-collection/​grunwald-family-history/​probate-records/​.